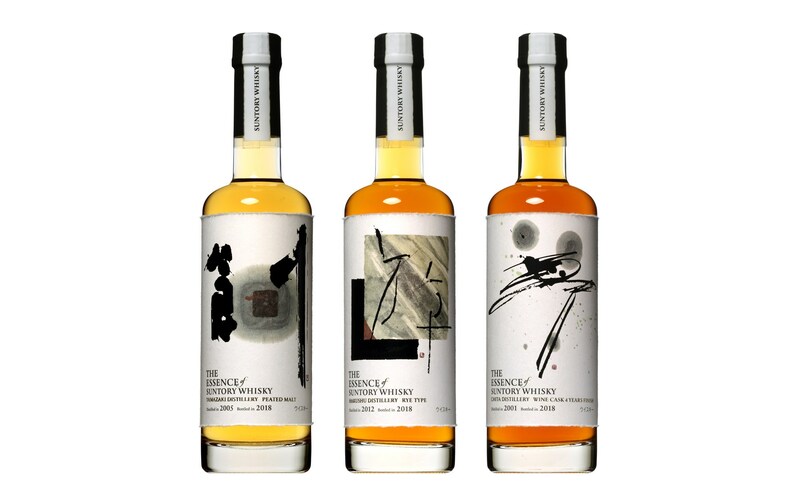 2018 looks to be an exciting year as Suntory makes a surprising announcement, with the launch of their newest products, “The Essence of Suntory Whisky.” Planned to launch on the 27th of February 2018, Suntory has unveiled the first three bottles to be launched. Suntory’s new experimental bottles for 2018. L-R: 2005 Yamazaki Peated Malt, 2012 Hakushu Rye, 2001 wine cask finished Chita. The Essence Single Malt Whisky, Yamazaki Distillery Peated Malt, distilled in 2005 and bottled in 2018, bottled at 49% ABV, retailing at ¥10,000 for a 500 ml bottle. The Essence Single Grain Whisky, Hakushu Distillery Rye Whisky, distilled in 2012 and bottled in 2018, bottled at 57% ABV, retailing at ¥5,000 for a 500 ml bottle. The Essence Single Grain Whisky, Chita Distillery Peated Malt finished in Wine Casks for 4 years, distilled in 2001 and bottled in 2018, bottled at 49% ABV, retailing at ¥10,000 for a 500 ml bottle. With these incredibly unorthodox expressions soon to be released, Suntory is definitely covering more grounds on their experimental side this year. A peated Yamazaki malt has recently been priced on the stratospheric side, while a Hakushu Rye has only been touched on so neglectfully in the past with this release, and a wine cask finished Chita single grain has never been heard of, could this be the signal that 2018 is the year when Suntory will be more adventurous? Hopefully this is only the beginning! Read the announcement on Suntory’s official website.